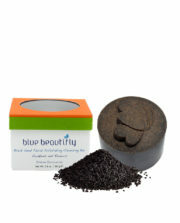 Balancing Mud Mask Powder brings out the skin’s natural clarity by removing impurities and excess oil naturally. The Ayurvedic blend of triphala, ashwagandha, and turmeric are combined with the mineral-rich fuller’s earth (multani mitti) and green clays to invigorate the skin and remove debris and other impurities from the pores. 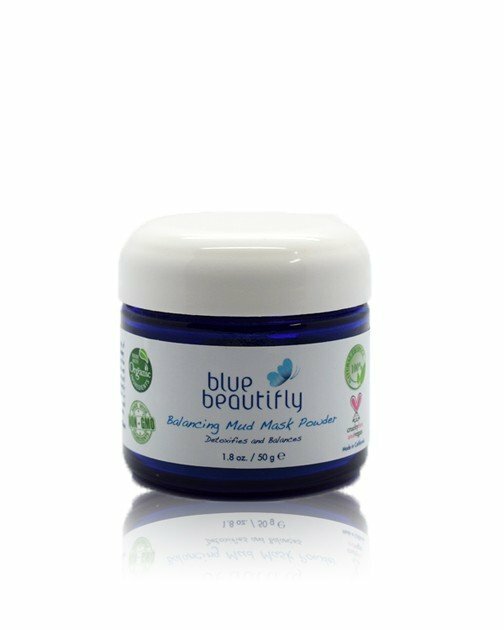 Witness the miraculous rebirth of your skin with Balancing Mud Mask Powder! Organic Raw Triphala. Comprised of three health-promoting berries (Amalaki, Haritaki, and Bibhitaki), it is used by Ayurveda for astringent and cleansing properties. Organic Raw Ashwagandha. Also known as “Indian Ginseng”, it has been used by Ayurveda medicine as a skin, hair, and total health booster. Raw French Green Clay. 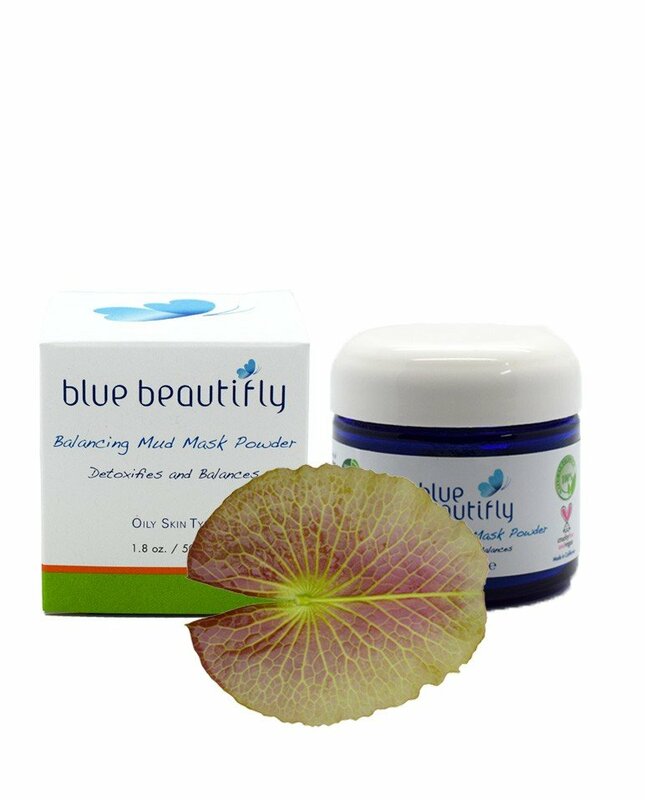 Naturally containing mineral oxides, magnesium, calcium, potassium, dolomite, silica, manganese, phosphorous, silicon, copper, and selenium, it revitalizes, tightens, balances sebum level, and removes excess oils and impurities from the skin. Raw Fuller’s Earth Clay. Also known Multani Mitti, it is formed by decomposition of volcanic ashes. 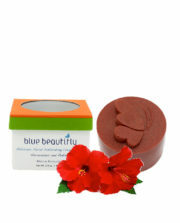 It draws excess oils from the skin and brightens. Ingredients: Green Clay (Montmorillonite)‡; Fuller’s Earth Clay (Solum Fullonum)‡; Red Illite Clay (Illite)‡; Chickpea (Cicer Arietinum)*; Rosemary (Rosmarinus Officinalis)*; Triphala Blend: Amalaki (Emblica Officinalis)*, Haritaki (Terminalia Chebula)*, Bibhitaki (Terminalia Belerica)*; Ashwagandha (Withania Somnifera)*; Lotus (Nelumbo Nucifera)*; Tulsi (Ocimum Sanctum)*; Lemon (Citrus Limon) Peel*; Turmeric (Curcuma Longa)*. Mix approximately 2 tsp of Balancing Mud Mask Powder with 2 tsp of liquid. The liquid can be any of the following: water, Organic Rose Toner, coconut water, fresh fruit juice, or fresh vegetable juice. For face only, reduce the mixture by half. If necessary, adjust the amounts slightly to achieve a smooth wet paste consistency. 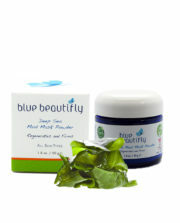 Wash your face and neck with a Blue Beautifly cleanser and leave your skin damp. Apply mask to damp face and neck. Avoid getting directly into the eyes. Leave on for 15 minutes, then rinse while massaging your skin in circular upward motion. Pat to dry. 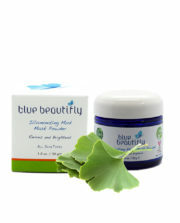 Follow with Blue Beautifly tonics and serums. Depending on your skin’s needs and condition, use once or twice a week.